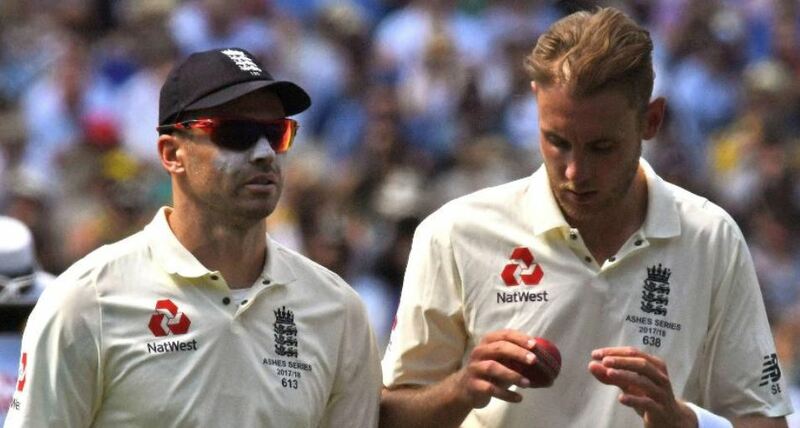 The England fans’ hearts sank drastically following Stuart Broad’s latest Twitter post in which his new-ball partner James Anderson injuring himself while playing Golf. After completing the Test match on Day 4 in Birmingham, the England players were given an off day on Sunday. Anderson and Broad went for a round of Golf, something they do pretty often. While they were at it, Anderson’s tee short misfired as the ball ended up in one of the bunkers and while playing a chip shot to get the ball on the turf, Jimmy hit the ball straight to his face giving some injury concerns to the pacer. 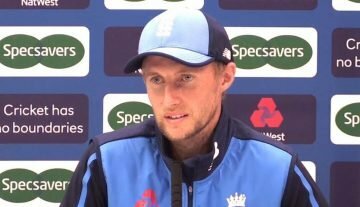 Anderson’s fitness is one of the crucial concerns for England in the ongoing series against India as he is someone who has troubled Indian skipper Virat Kohli when the teams locked horns in England in 2014. So, a lot of attention has been on how both Anderson and Kohli tackle each other as the ongoing series goes ahead. In the first Test, Kohli played cautiously to Anderson as he was standing well outside the crease while batting against his nemesis in the first innings, leaving balls outside the off-stump with great conviction and didn’t poke outside the off-stump often. In spite of that, he edged one straight to David Malan at second slip, who dropped when Virat was at 21 and he made Malan and England pay by scoring 149 runs. Kohli went for some furious cover-drives in the second against the pacer, something that led to his downfall last time and looked solid putting the ghosts of the past behind him. Virat became the no.1 Test batsman after playing the knock of 149 and 51 in the first innings, and now he will square off with the world number one Test bowler again in the second Test which gets underway at the historic Lord’s Cricket Ground on August 9.